Double click the Add New on line 4 to add a new Other Receipt. 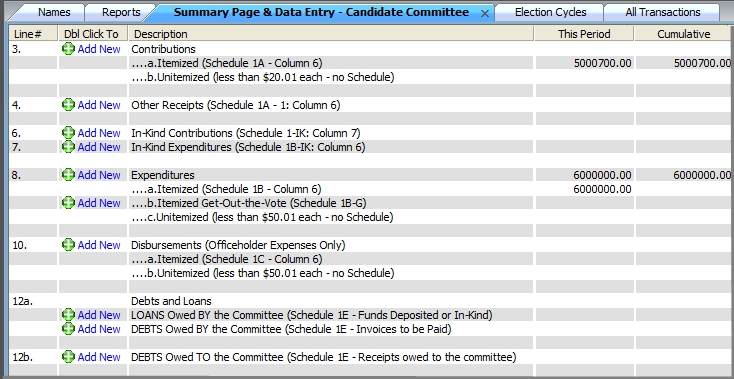 Continue to add the date, amount and description. 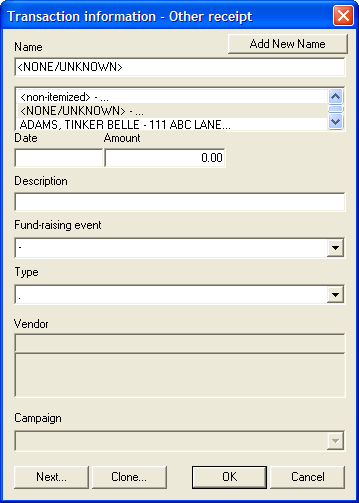 If the other receipt was associated with a fund raising event held by your committee click the Fund Raising Event drop down to select the appropriate event. Select the Type from the drop down.